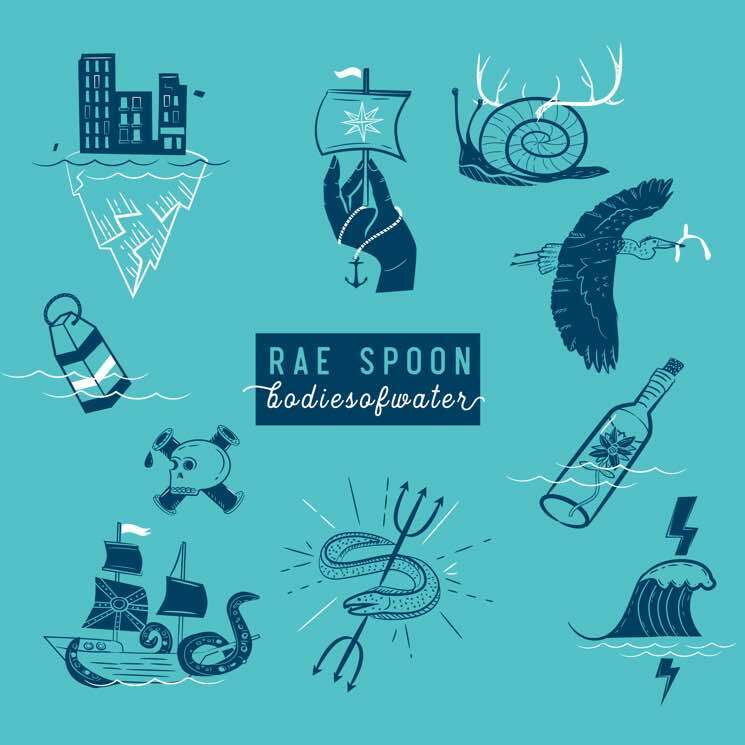 You can also stream the song "Do Whatever the Heck You Want"
Rae Spoon has revealed plans for their latest album, Bodiesofwater. It's due out September 7 via Coax Records. The album marks the follow-up to 2016's Armour, and its title harkens back to the space bar-free title of 2008's Superioryouareinferior. Deeper than that, the title of the album is a reflection of the artist. As a non-binary person, Spoon likens their identity to that of bodies of water — fluid and unconfined, and difficult to fit into the established structures of society. A press release also notes that "like bodies, water is regulated and increasingly commodified." The new collection of songs hears Spoon drawing connections between their own body and the ocean surrounding their home of Vancouver Island. It was recorded at the Noise Floor Studio on Gabriola Island with co-producer Laurie-Anne Torres, as well as respectfulchild and Terri Upton. The upcoming LP has been prefaced by lead single "Do Whatever the Heck You Want" — a rather self-explanatory ode to staying true to oneself. "This is a song I wrote about my main life philosophy," Spoon said in a statement. "Originally it contained 30 F-words, but then my friend Carole Pope said to me 'You can't have a hit with the f-word in it, Rae' and so it's now suitable for all audiences." Scroll past the tracklisting for Bodiesofwater, as well as Spoon's upcoming tour dates with respectfulchild, to give "Do Whatever the Heck You Want" a listen.